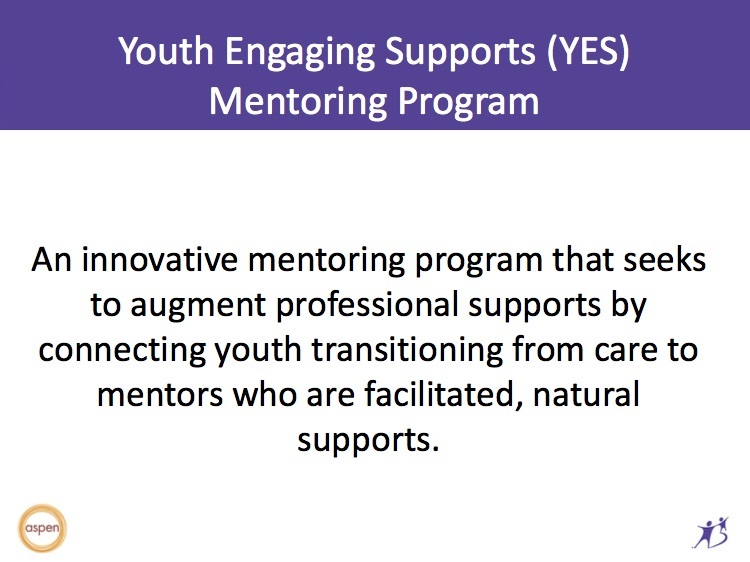 Youth Engaging Supports (YES) is an innovative mentoring program that seeks to augment professional supports by connecting youth (16-24) transitioning from care to mentors to be facilitated natural supports. 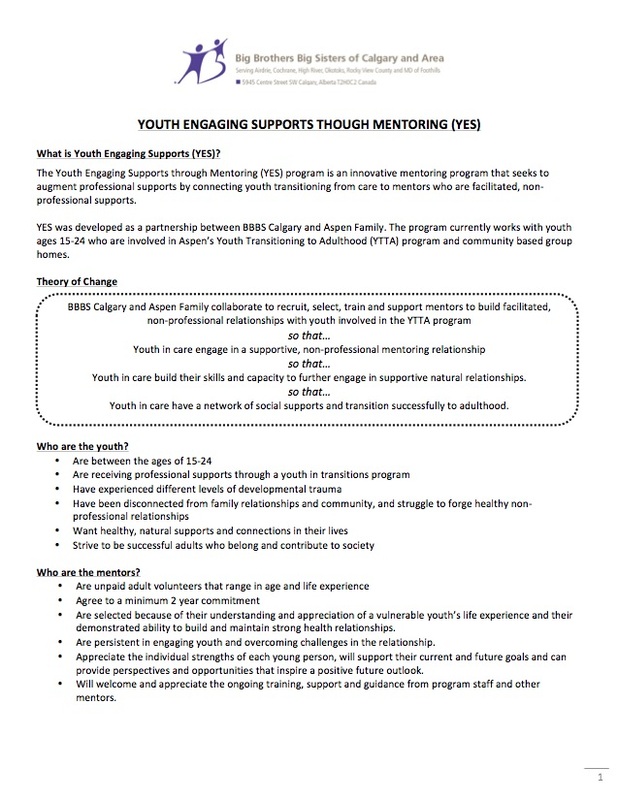 Together BBBS Calgary and Aspen will share their experiences of developing and delivering the YES program. 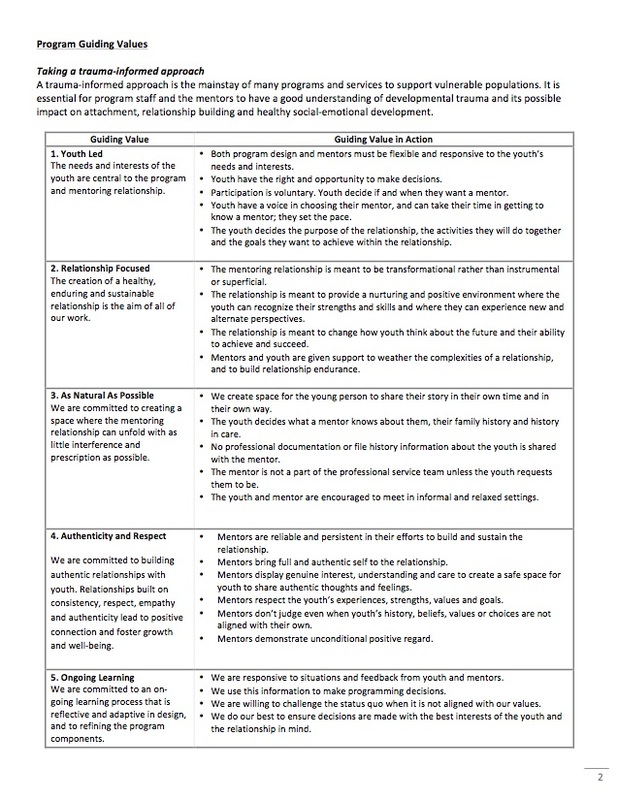 Throughout the voices of the youth and mentors involved in the program will be incorporated.